Kids are growing up in a radically different world to the one we knew as kids. And so to walk hand in hand with the present times the kids need to be skilled. One such important skill is coding. Coding is important because a major part of our lives is related to computers and we can talk to computers only via coding! By knowing how to code, one can bring their ideas to life and create whatever they wish to, be it an game changing app or a fun game. Below are some resources that you must check to understand more about coding and motivate your kids to indulge into it. A very nice video showing experiences of some of the most renowned people from technology world like Bill Gates, Mark Zuckerberg and more. Now this is something! 12-year-old kid making apps, and having a school to teach kids or peers to code sop that they can also make the same. A great video that kids must watch to get inspired. This video by ScratchJr highlights how kids enjoy learning to code and how exciting it is for them to create and express their ideas into reality. This infographic by eLearning infographic is a great representation showing why kids should code and various ways with which kids can learn. It also lists some amazing tools that can be used by parents and educators to help their kids with the skill of coding. Kodable gives you 5 undeniable reasons why kids should start coding early. And this infographic by carlcheo.com is really amazing. Which programming language to start with. The image shows what is programming, how many type of computer languages are there and will help you chose the one you want to start with. Articles and Other Resources That Will Help You. 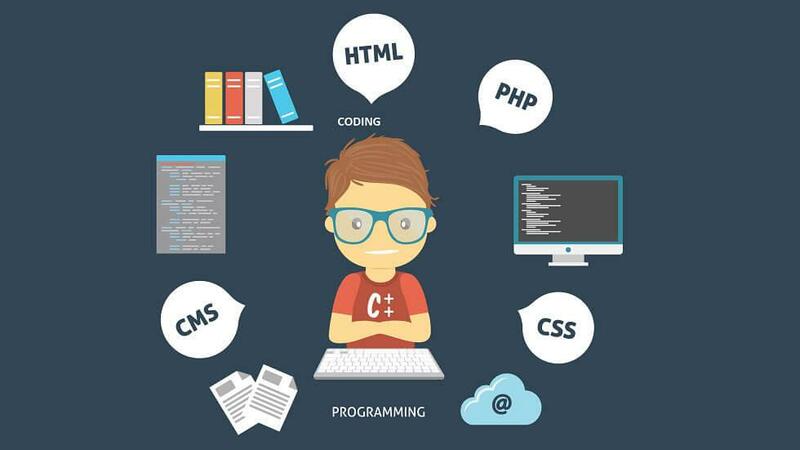 Why Coding is Your Child’s Key to Unlocking the Future? This Wall Street Journal Post will help you understand more about the benefits of coding and why it is amendatory skill for the kids who are going to head 21st century or like we call it the digital age. Challenges, tips, resources, starting with a group to watching them code individually! This link from edoTopia covers it all. A must read. This post will tell you why is important for kids to code, what all skills are polished with acquisition of one more, how to get started and some tools that can help you like cherry on the top! Mobiles have changed the paradigms of learning and one of the best thing happened is “APPS”. A list of apps that can help you develop the interest of kids into coding. A list of the best of coding sites that will help you initiate the coding courses for your kids. Features the best sites like code academy and code.org. Teach them coding with what they love the most. A nice resource to get to know more about the blend of coding courses and gamification. The list is sorted for the age groups and story lines of the games is mentioned to make the choice easier. These tools will help your kid learn coding in a creative manner. Explore the tools and make a pick. “The coming jobs may not involve programming but it is crucial that we equip future generation to think about the world in a new way.” With this base, know why must a child learn to code. Some more reasons for kids to code and ways to get started. Dig deeper with this link. It covers some important points like digital confidence building and problem solving enhancement by coding. Just like the title, the content is captivating as well. A resource that is rather more for a parent than for a children but a good read. Any other resource that you’d like to mention?